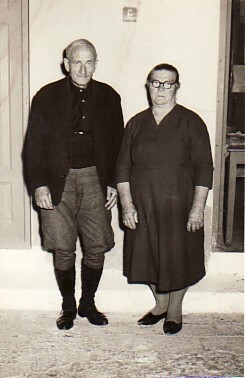 Above: My parents, Nikolaos and Alexandra. 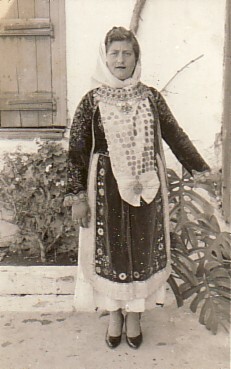 Above: At a panygiri. 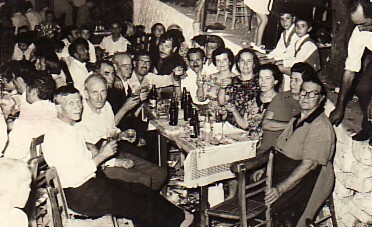 L-R: my uncle, Kostantinos; my father, Nikolaos; my brother-in-law, Efstratios Vagias; her sybethero, Efstratios Papakyrikou; her brother-in-law, Nikolaos Sandavas; Efstratios and Niki (from Kapi); her sister-in-law, Evangelia Sandava; her sybethera Maria Papakyrikou; her sister, Ralouda; and her mother, Alexandra. 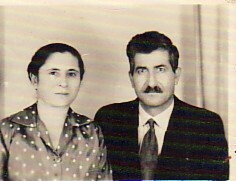 Above: Efstratios and Adamandia Polyzos, who sponsored our family to Australia. 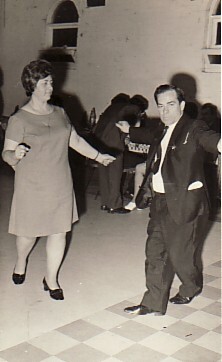 Above Right: Dancing with my husband, Aristides. 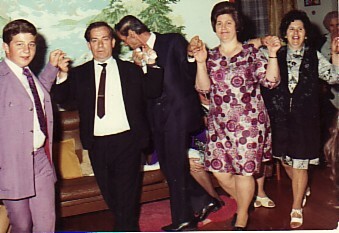 Above: With my family- my husband, Aristides, and our children, Mihail and Elpiniki. 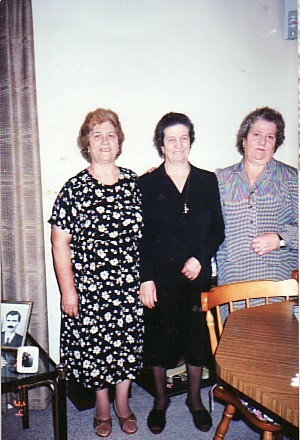 Above Right: With my sisters, Ralouda and Irini.